Paithani is a sari made of silk and zari. It is a plain weave, with weft figuring designs according to the principles of tapestry. Traditionally, Paithanis had a coloured, cotton muslin field that often contained considerable supplementary zari patterning. 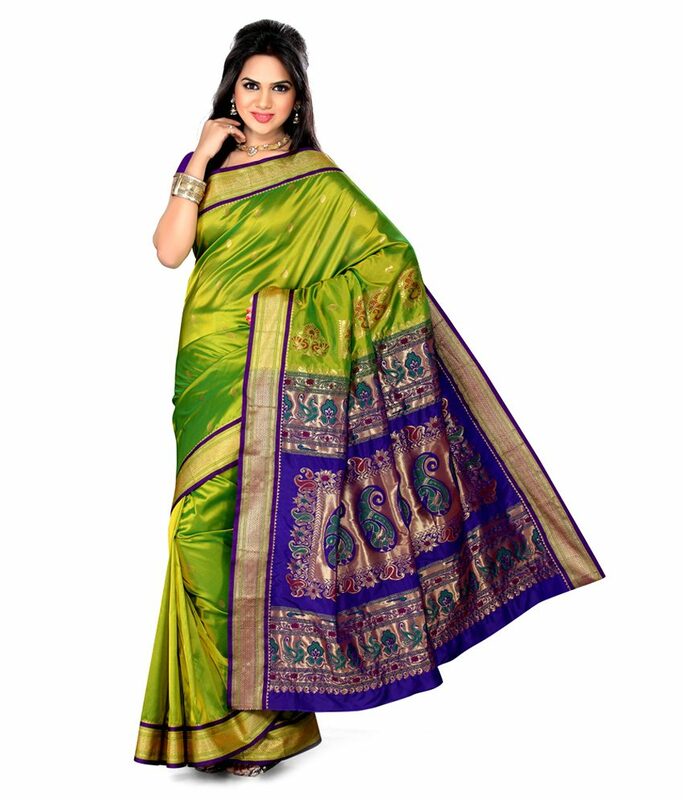 This saree is a specialty from Aurangabad and if you drape this you are sure to bring a royal look. The intricate zari work, peacock motifs on pallu gives a royal touch.